Taking over the internet just isn’t enough for the big fella. Scoob’s “All I Kno Is Hood” music video is now slated to hit the airwaves on MTV Jams. Big Scoob updated fans over Twitter and revealed that following some edits, “All I Kno Is Hood” will be accepted into MTV Jams‘ rotation. 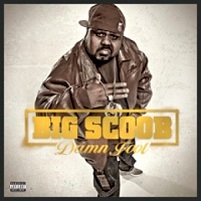 This is no doubt a giant step for Scoob as he preps the release of Damn Fool. Check back in for more updates as Scoob suits up to conquer MTV. What do you think about seeing Big Scoob on MTV? Leave your thoughts below!